It was a question that many of us were asked repeatedly during university, at family functions, hanging out at the pub or making small talk during travel, "What are you going to do with a History degree?" My Dad was more reassuring as I writhed with indecision, "Do what you love. You can always sell real estate later." People usually followed with, "You must have a good memory." Like memorization was a character flaw. Most assumed I would teach and teaching at all levels still tops the recommendations when you Google, "What do people do with a History degree?" Others become lawyers. It is not hard to understand why. When you study History you consume vast amounts of content on any given subject, distill what is relevant and then make a sound argument, which you must communicate in a compelling way. When taught right, History is less about memorizing facts and more about understanding the impact of people, events and things on the course of history. The best part about this approach is that it can be applied to anything: everything has a history. No matter what your passion, medicine, cats playing the piano or portraits of Winston Churchill, understanding its history grants amazing insights. It is a great lens for examining the world and understanding our place in it. As a result I am very excited about the potential of British Columbia's New Curriculum. It concedes that it is increasingly hard to 'know' things in an absolute sense (hence it is less important to memorize endless 'facts'). New information is being revealed and created on a daily basis and with the constant confirmation available online, it is more important that our kids learn become critical thinkers, assessing the credibility of the source and the relevance of the information. My greatest hope is that we stop using multiple choice Scantron exams to test students' historical knowledge. While we pursue Arts degrees, our loved ones fear that we're going to end up massively in debt and completely unemployable. My experience is that there are good jobs out there for people with our skill sets. We just have to be more creative and work harder to sell the skills. 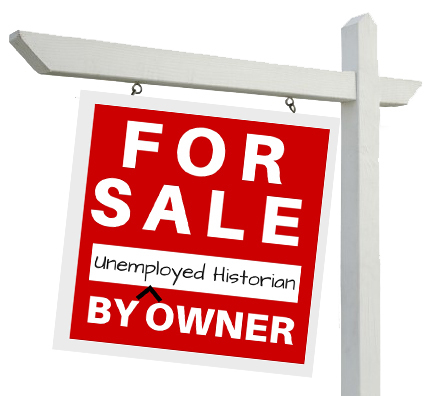 It may also be that a history degree (or two!) will have to be paired up with some other practical skills. I took accounting courses at BCIT to make myself more marketable, which also prepared me to run a small business. All that said, I have landed any history lover's dream job. I write and produce documentary films. Over the years my production company has produced historical projects about: medieval castles, ancient empires and various war stories, but I've found that my skills are just as easily transferable to discussing engineering or mangrove ecosystems. My job is to deconstruct concepts and find ways to communicate them to others, as simply as possible. If I don't understand the idea, my audience usually ends up confused. One of the perks of my job is that I get to travel around the world and talk to smart people. Our new project Hell Below has been no exception. 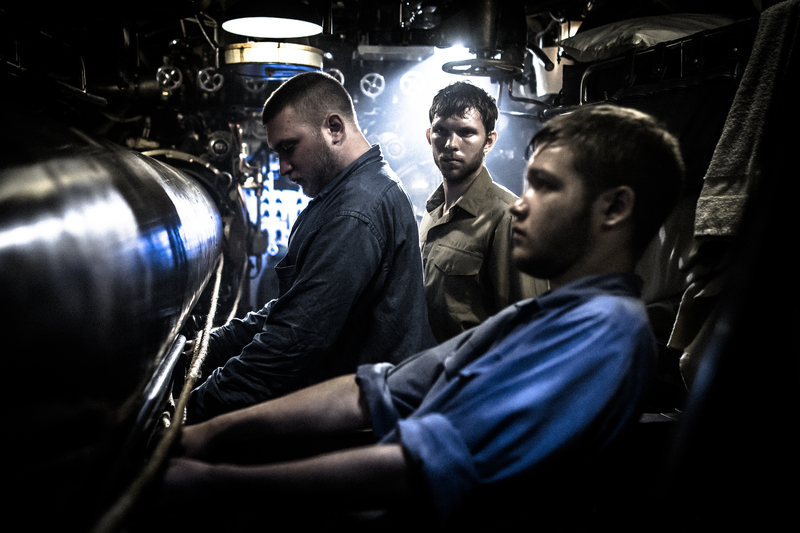 I got to visit vintage submarines with our production crew as they filmed the drama sequences to chronicles some of the most amazing sub patrols of the Second World War. While we were there, I conducted on camera interviews with historical consultants like Norm Friedman, James Scott, Eric Grove, Christian Jentzsch and Brian Hayashi. I worried a little that we focused our research so narrowly on individual submarines and their crews. The experts always helped me to contextualize the experience of the crew within the larger historical picture. In particular I wanted to know why if the American submarine campaign against the Japanese was ultimately more successful (they did in fact strangle the Japanese war economy), why everyone (including Americans) tends to know so much more about German U-Boats. Interestingly many agreed that this was the result of propaganda. Dr. Christian Jentzsch pointed out that every American and Canadian serviceman travelled by ship across the Atlantic. Each would have been aware of the U-Boat threat given its early and frightening successes against the Allies. Nazi war propaganda lionized the U-Boat service and Dr. Jan Witt called them the "pop stars of their era." The defeat of the U-Boats in the Battle for the Atlantic, in turn made Allied naval forces appear to be giant killers. I know there are people out there who don't consider what I do to be 'real' history. I don't spend years in the Archives to write a book for my specialist colleagues to read. Television is a very populist approach to history, which teaches the most basic of history lessons. As a result, it is an amazing opportunity to expose millions of people to great stories and I hope provides a gateway to encourage viewers to dig deeper and learn more. Filmmaking is simply a different genre. We have to tell our stories in a compelling and visual way. I'm happy to defer writing a monograph to someone else. I hope one day we History Geeks will rise up like our science-loving friends and we will gather to support great human history stories shared on websites such as I F*cking Love Science. Science seems to be opening up in new ways to share information and discoveries and I hope we can too. As much as I love fiction and drama, I get a special thrill when I know the some story is real. Even better, I get to tell some of them. It isn't a path I could have imagined as I studied. I guess my real estate career will have to wait. Our new series Hell Below premieres on Smithsonian Channel Canada Tuesdays starting April 5th until May 10th.